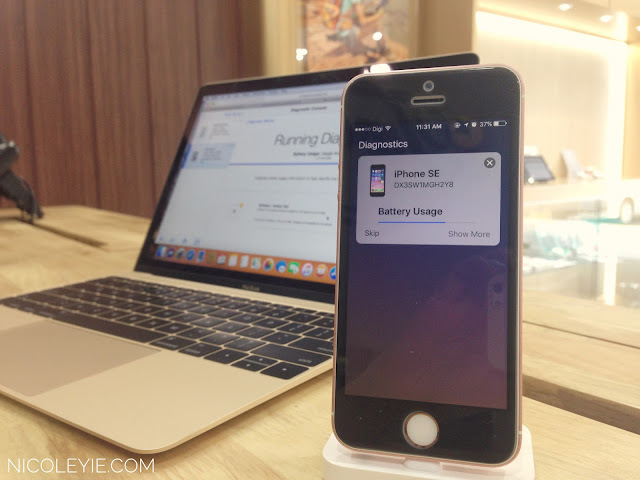 I have been an iPhone user since iPhone 3G's generation, and currently I'm an iPhone SE user for almost 10 months, and I still don't know where exactly should I go when I wanna get my phone repaired. 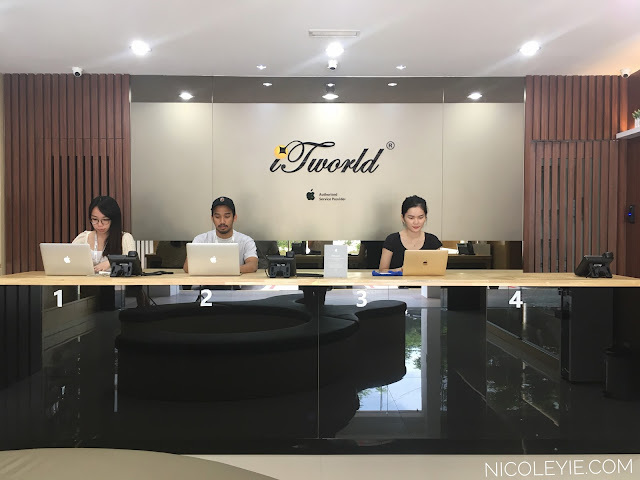 Now I finally know that iTworld is an Apple Authorised Service Provider (AASP) under SNS Network, where they also focus on service, i.e check up and fixing, besides of selling Apple products! 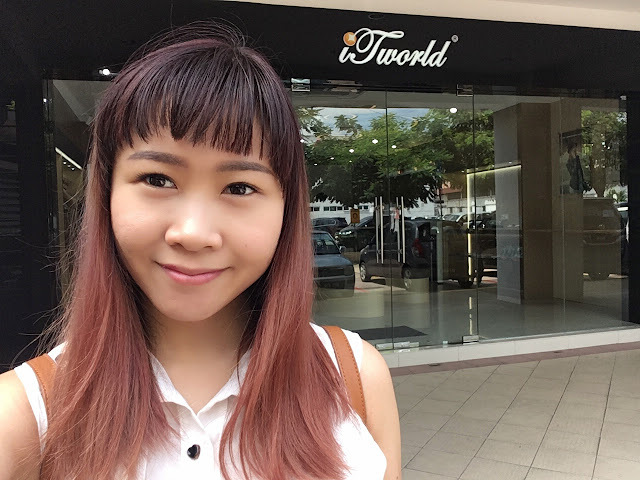 iTworld AASP is centrally located in the heart of PJ @ 3 Two Square where it's easily accessible by any transport. Upon entry to 3 Two Square, the first 15 minutes of parking is free of charge! Besides locating in a strategic location, they have their own VIP reserved parking pace for their beloved customers, so fret-not about looking for parking for a few hours just to get your phone fixed! Their mission is to provide one stop solution and helpful service to their valued customer. 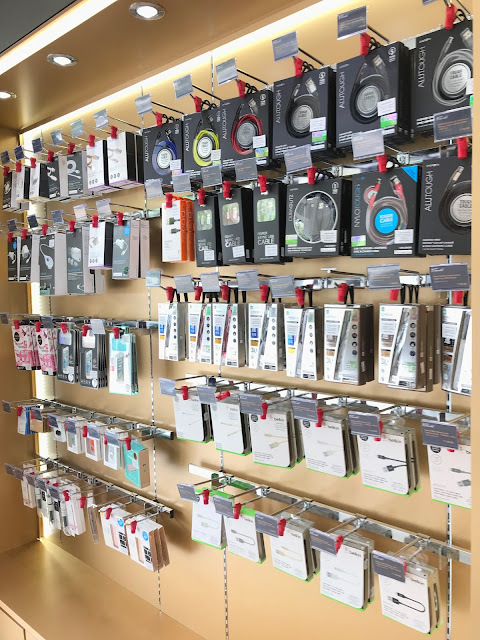 They provide services specilizing for both hardware and software of Apple products including iOS, Mac Devices and Apple accessories. Their Professional Expertise are patiently waiting for you! All of them are Apple Certified Support Professional with high level of technical proficiency. I'm not sure about you, I used to think that iTworld sells Apple products because they looked like they do. 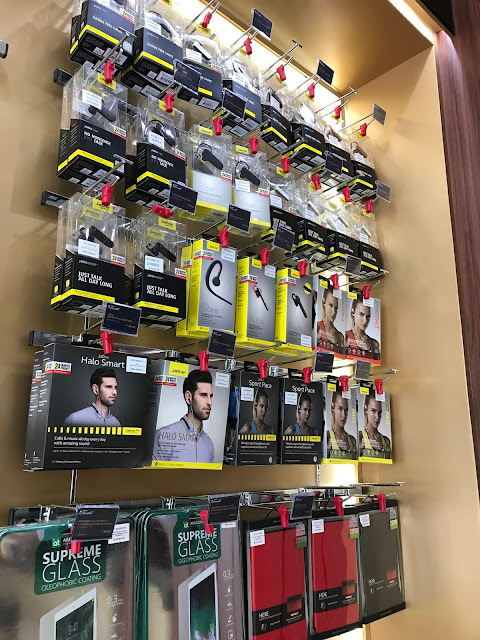 But they sell third party accessories such as chargers, powerbank, keyboards and so on. 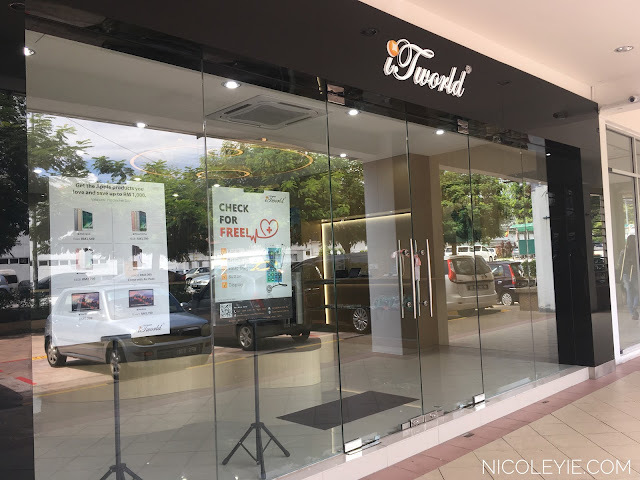 iTworld also provide flagship experience where everyone get to enjoy exclusive in-store customer experience. Queued up to get my phone diagnosed since they are having the promo where you can check your phone for free! 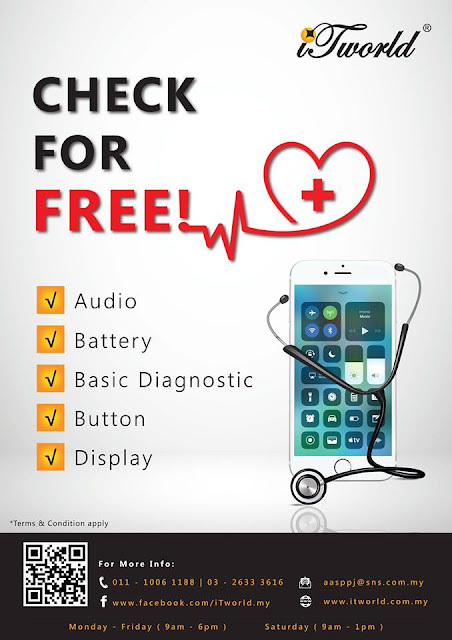 And yes, you can get your phone check-up for free too! The software able to scan any general problems, or you can choose to check a specific problem that you encountered, Just walk in to their store on Weekdays (9am-6pm) or Saturday (9am-1pm). Their on going promo that you won't wanna miss out! 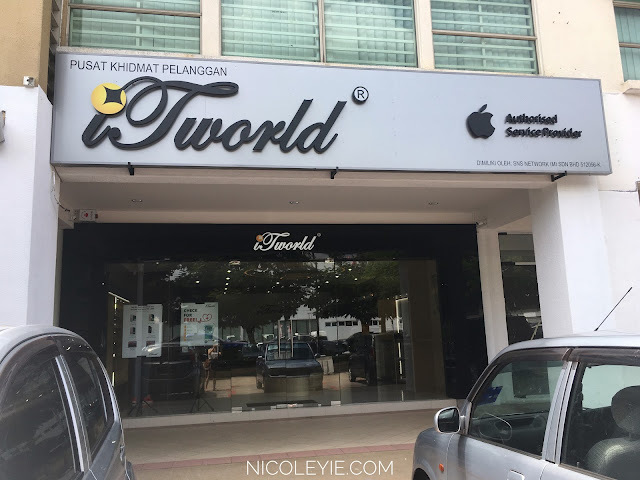 Honestly it's my first time visiting Apple service provider to get my phone checked up, and I am definitely coming back to iTworld again if there's something wrong with my phone cause they are really efficient and knowledgeable!